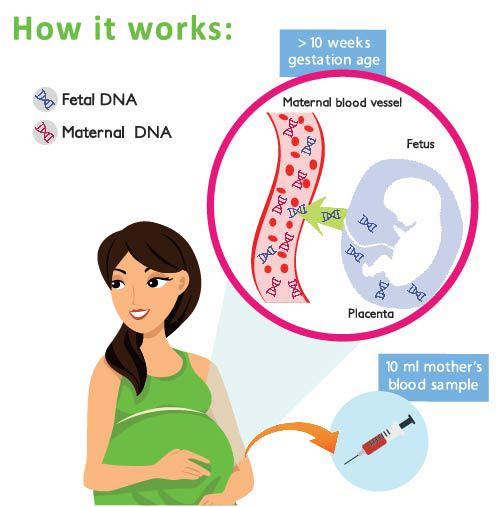 During pregnancy, DNA originating from the baby crosses into the mother’s blood stream. Only 10ml maternal blood sample is needed for NICC test. From this blood sample, cell free fetal DNA is analyzed in order to examine the baby’s health and check for the chromosomal abnormalities. The risk of having a child with chromosomal abnormalities, such as Down Syndrome (Trisomy 21), Edwards Syndrome (Trisomy 18) and Patau Syndrome (Trisomy 13) increases with maternal age. Diagnostic tests for trisomies detection such as amniocentesis and chorionic villus sampling (CVS) are invasive and impose a risk of miscarriage to the pregnancy. 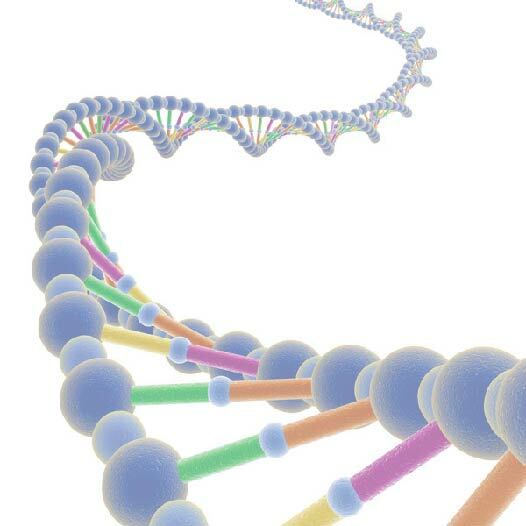 Genes are part of the make-up of every cell in the human body. They contain the information that controls the development of your cells and that of the fetus. Genes determine the traits that a person inherits, such as hair, eye color, height and important information such as the risk of developing certain diseases or conditions. Genes are grouped into structures within the cells called chromosomes which usually come in 23 pairs. Each pair contains its own set of genetic information. Having an extra copy of the paired chromosomes will cause chromosomal abnormalities such as Trisomy 21, Trisomy 18 and Trisomy 13 that are linked to serious developmental and medical problems.